Pure Grown Diamonds are produced using a technological innovation that yields diamonds of exceptionally high quality and purity. Only the top two percent of mined diamonds can compare. They are identical in their composition, as well as in their physical appearance, to mined diamonds. A gemologist cannot tell the difference between a Pure Grown Diamond and a mined diamond because there is no difference. Pure Grown Diamonds are often able to achieve a higher quality than their mined counterparts due to the environment in which they are grown. 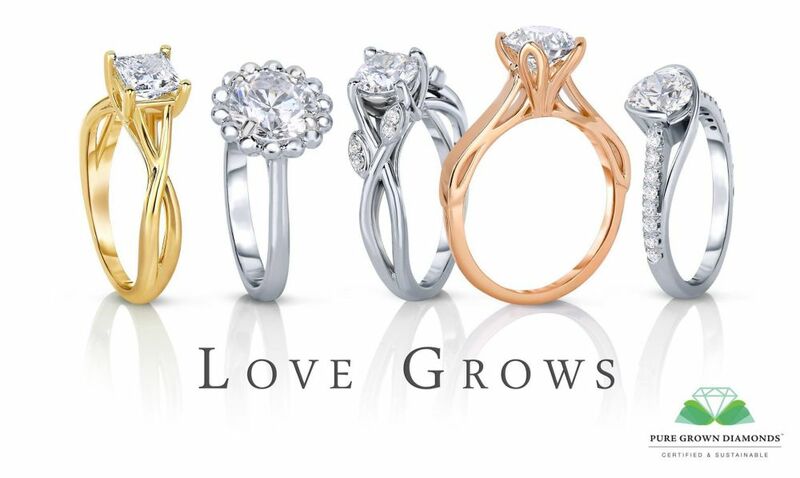 Each Pure Grown Diamond is then carefully faceted and crafted into a beautiful, fiery and brilliant diamond. While our unique growth process qualifies Pure Grown Diamonds as the purest diamonds in the world, they’re even environmentally friendly and conflict free.